The registered nursing career is facing similar old problems as it was in the past. New technology is required to improve the quality of health care services for all patients and there are so many things that need to be developed and changed to make the health care services run smoothly. There are a lot of challenges covering an RN job. This includes the tiring work shifts, impossible work-life balance, continued education and advanced treatment methods. At the nursing work station, there are many untoward incidences that may lead to injuries and other chronic hazards. An RN is prone to back injuries because of long working shift caring for the patients. It is probably one of the reasons why there is a nursing shortage since most of the nurses with back injuries leave the profession and take other careers. Technologies are moving at neck-breaking speed, altering the job atmosphere and imposing new skills-training and continuing-learning within the clinical setting. Nurses feel they cannot continue to the profession because of the pressure to upgrade their skills and to keep up with the technology. Continual learning belongs to today’s world; it doesn’t mean nurses have to know everything. It entails nurses to have accessibility to update their understanding and their skills. Keeping up with trends, technology, and research might be outside of nurses’ continuing education (CE) needed to keep qualifications and satisfy state laws and regulations. The working schedule for most nurses is unhealthy and emotionally draining. They may work 12 hours straight during their shift not including the on-calls and emergency shifts. With this schedule, nurses find it challenging to balance family and work as well as their personal life. The RN shortage added to the problem and put more pressure to nurses to work overtime. 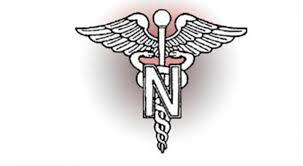 Anyone who plans to be an RN must be physically fit and emotionally ready to face the challenges along the way. However, the profession is a decent, respectable and admirable job. If you want to help others through your profession, this job is for you. There are different health care workers in a certain hospital or clinical site. They have different jobs and responsibilities to help patients recover. This includes Licensed Practical Nurses (LPN) and Licensed Vocational Nurses (LVN). Many are confused with the two. Some think that they are just the same. However, they might be correct. They may just differ with their names, but not on their functions. Here we will be discussing further the two courses. LPNs are nurses who have passed the academic requirements to acquire their license with the next phase within their profession as being a Registered Nurse (RN). LPNs are usually found working under a doctor or RN’s supervision in hospitals or treatment centers. They can also provide home healthcare and practice in nursing care facilities. LVNs are also nurses who passed the state’s educational requirements and the exam to get a license as a registered nurse. LVNs perform their nursing responsibilities in a variety of hospitals, nursing facilities, physician’s clinics, and surgical centers. 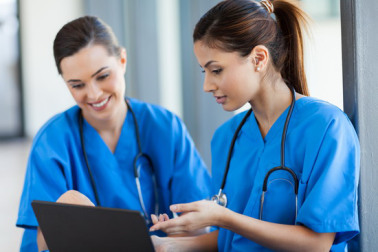 Nursing programs today that provide LPN/LVN training possess a moderately intensive listing of subjects which are needed for certification, for example communications, critical thinking, dosage information, drug reference and interactions, ethics, along with other areas. In Texas, the academic needs for that title of LVN require students to accomplish 20 contact hrs every 2 yrs, along with a specific (once-off) two hrs of contact in Ongoing Education for LVNs who are employed in Emergency Rooms and Forensic Evidence Collection. California requires 30 contact hours of Ongoing Education, every 2 years, for license renewal. The rest of the 48 states have different requirements in terms of continuing education and also the title given by these states is LPN. Some states, for example New York, require LPNs to complete three contact hours for infection control every 4 years. Yet others, for example Florida, require additional study in Prevention of Medical Errors, HIV/AIDS and Domestic Violence, to acquire the LPN title. Essentially, the academic requirements of both LPN and LVN are extremely similar, as well as their responsibilities are consistent. Actually, the only variation between the two is the state where the course is being offered. In Texas and California, the academic needs are identical, however the title is LVN whereas, other states with similar educational requirements, give the title of LPN. Both jobs require no less than a high school graduation certificate, or GED, just before entering nursing school. According to the Bureau of Labor Statistics, registered nursing is among the top 10 professions with the biggest job growth. Registered nursing (RN) requires a large base of information used to evaluate, plan and perform to prevent disease, promote health, and help patients deal with their sickness. 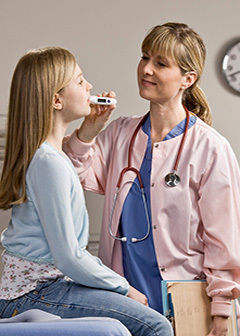 When providing immediate health care, RN’s observe, evaluate and record symptoms, responses and improvement, which provides the basis for health care planning. Nurses are one of the immediate contacts of any patient in the hospital. They are health teachers and supporters for patients and family members. They have a unique opportunity of practice and can practice individually, although they also work together with all members of the medical health care group to provide the health care needed by each patient as an individual. 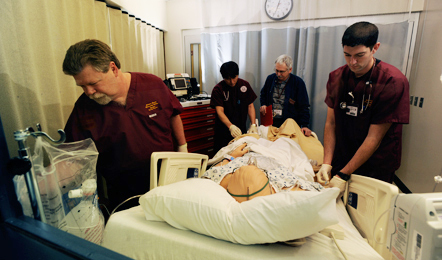 RN positions range from immediate individual health care and case management to creating medical practice requirements, creating quality procedures, following complicated medical health care systems, performing medical research and educating in medical programs, as well as practicing in many other areas of the clinical field. Registered nurses also develop and manage medical care plans, advice patients and their loved ones proper health care and help individuals and groups take steps to improve or maintain their health. Expert medical obligations have changed considerably over time. Nurses today are highly known associates of the medical healthcare group who bring their own knowledge and skills to the process of medical health care. Nurses work together with doctors and associates of other healthcare professions. Some nursing staff chooses to focus on a particular specialization. There are numerous specialized options, each of which has its own training/certification requirements and related professional network or organization. There are many Universities that now offer web based programs or have a distance studying program for certain degrees. Learning management systems would also be a good spot to look as they have an extensive selection of programs that cover all careers and degrees. You can complete a lot of your studying or studying online, however, you must be present for your clinicals. With nursing, it needs not only a lot of knowledge, but also practice routine. You are not going to understand how to successfully do everyday tasks such as putting in an IV to a person if you don’t actually practice on a person. However, you can get a lot of your RN classes out of the way by completing them online. Do some research, check out what schools offer distance learning programs or what other online schools have the RN classes necessary to help you complete your training. To become an RN, you only need a 2-year Online Degree in Nursing (ASN). There are also ‘fast-track’ programs that will allow you to produce your LPN degree in about 10-12 months, but they will load the work on you during that interval. A lot of the LPNs usually work in assisted living facilities or physician offices. Pay ranges are going to be based on your experience, the shift that you like and the setting in which you want to work. Most programs offer RN-BSN programs solely so RN’s are able to work and go to school. But to get your main RN licensure, you must have a certain number of hours of classroom times to do the RN classes and you also have to work a certain clinical site (where you work in a hospital or long term care service while attending school). This is done to make sure that you successfully pass your tests, since a lot of them are hands-on. In the U.S., RN training is regarded to be extremely essential in preparing learners to take on the obligations that lie before them. 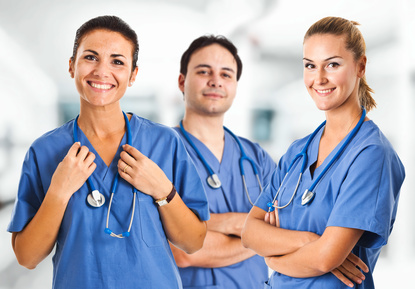 If you want to become a nurse, it would be best for you to examine the various training choices that are available. You can start by determining accepted educational institutions that provide state-approved RN programs. You can also evaluate different educational institutions and choose the one that is not only ideally situated, but also one that costs a training fee that you can manage to pay. It is important for you to observe that the specifications for applying for RN classes vary from one school to another. The cost of training also varies based on the program of each school. It is also essential for you to be aware of the aspects that can disqualify you from searching for RN classes. One of the aspects is unable to successfully pass the criminal background check. Most states also require every student to provide a duplicate of his/her criminal record report before he or she can be permitted entrance in any of the RN training facilities. Another thing that can disqualify you from applying for RN classes is deficiency of expertise in writing, reading and speaking English. It is also required that all candidates must hold at least a secondary school degree or a GED certification. It is a comfort for economically deprived learners to know that there are various free RN training choices that are available. Such learners are recommended to check out local medical centers, assisted living facilities, treatment centers, recovery facilities and community facilities within the state and find out about the requirements used to figure out the qualifications free RN training. There are also various medical care facilities that provide free training to those who desire to become RNs. If you are already applied and would like to relocate from a CNA to an RN, you can talk to your company and your training may be assisted. However, your company will require you to sign an agreement in which you will have to accept to stay applied by that particular company for a particular period of time after your training. 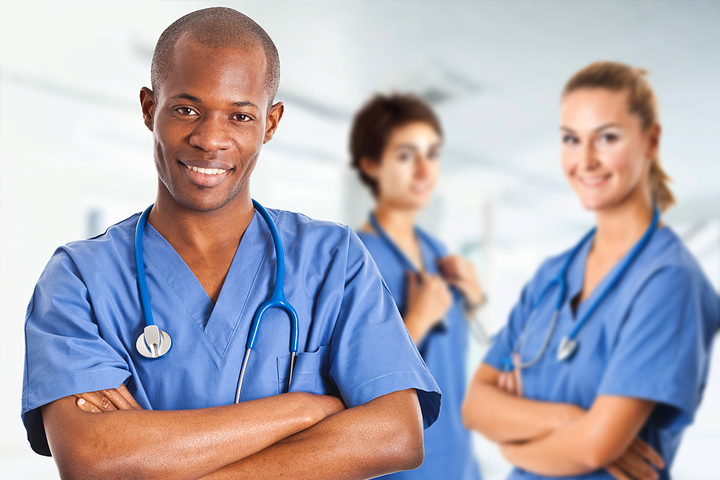 Take advantage of the various choices that are available for RN training and increase your possibilities of obtaining a reasonable job in the nursing field. Did you know that a licensed practical nurse can now shift to another profession and become a registered nurse online? Yes, you have read it right! Aside from the conventional education, you can now complete nursing courses on the internet through LPN RN bridge programs, on the internet. This kind of program is not as well-known as other web based programs, but it is gradually becoming an option for some licensed practical nursing staff. Higher salary – RNs have higher wage than licensed practical nurses. This is relevant to the simple reality that the RNs generally have more obligations than LPNs. On average, a nurse can generate around $68,000 yearly as opposed to $54,000 regular wage of LPNs. Career advancement – A lot of individuals want to further their career. Becoming a nurse is one way. You should keep in mind that to be able to achieve your goals, you always need to challenge yourself to become better when it comes to your profession. Entering into a LPN to RN bridge program is absolutely a right choice when it comes to profession growth. These are just some of the many factors why individuals would want to move from being a licensed practical nurse to a registered nurse. BSN is a challenging degree. It’s a 4-year course with many difficulties to exceed and many tasks to achieve. 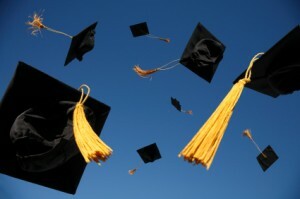 So, here are the simple guidelines that we can share to you on how to pass a BSN degree. Study and ready the books. This is one of the greatest tips in passing the course. You are not Newton, so you better study hard. Make sure to study your books. Your parents didn’t buy you stacks of nursing books just to display them on your study desk. Go forward, start reading the book and start studying the pages of Saunders, Pilliterri, Lippincott, or whatever nursing guides you have there. The 30 to 1 Hour Concept. It’s our own way of saying this. It’s our own phrase for learning, reviewing, and studying. If you want to study because there’s a big test coming the next day or next week, you better set yourself to study for 30 minutes to an hour then take a break for 15 to 30 minutes. Don’t study for many hours without taking a break. The theory is the mind will be drained if you don’t take a break once in a while! Be with good friends. If you are in school area with different types of people learning Nursing, you better make friends with those good influence students. Don’t go with those who focus on late night partying instead of late night study. Yes, this might sound like a cliché, but believe me, it works. Listen. Pay attention to your parents and to other individuals’ recommendation, most especially from the registered nurses. Pay attention to their suggestions on how you can successfully pass and graduate from a BSN program. Be healthy and balanced. Eat meals that are loaded with proteins, take your daily supplement of multi-vitamins and vitamin C. Rest as much as you can. Stay hydrated. Consume dairy products before you sleep. Don’t sleep late and wake up late, but instead sleep early and wake up early, then study your notes.